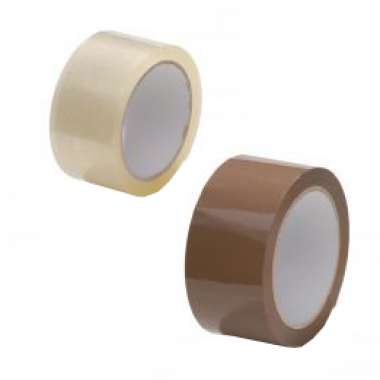 Brown PVC tape has great adhesion on cardboard, paper, etc. In addition, it has a strong and uniform roll-off. Because PVC tape is not longitudinally stretchable, it is an extremely suitable material for sealing boxes securely. PVC tape is moisture-resistant and can be torn by hand.